Balos beach in Chania lies in the northwestern tip of Crete, about 55km west of Chania town and 17km northwest of Kissamos. Balos is found on the impressive Gramvoussa peninsula, between the capes of Gramvoussa and Tigani. The Gramvoussa peninsula is covered with thyme, oregano and wild flowers. On its northwest side is the astonishing lagoon of Balos. There are no accommodation options, just canteens offering food, refreshments, umbrellas and sunbeds at an approximate cost of 7 Euros. In front of the beach there is the picturesque Gramvoussa islet with its Venetian castle which you will be able to visit should you choose to reach Balos by boat. On the background is the Geroskinos mountain with an altitude of about 762 metres. North of Balos there are ruins of the small ancient Roman city of Agnion, known for its temple of Apollo. Balos beach has pinkish – white sand, due to the countless broken and intact shells. The same white sand covers the sea bottom, granting the sea an emerald color. The waters inside the lagoon are shallow, crystal clear and calm since the Gramvoussa islet protects the bay from the winds. Outside the lagoon the waters are deeper and cooler. 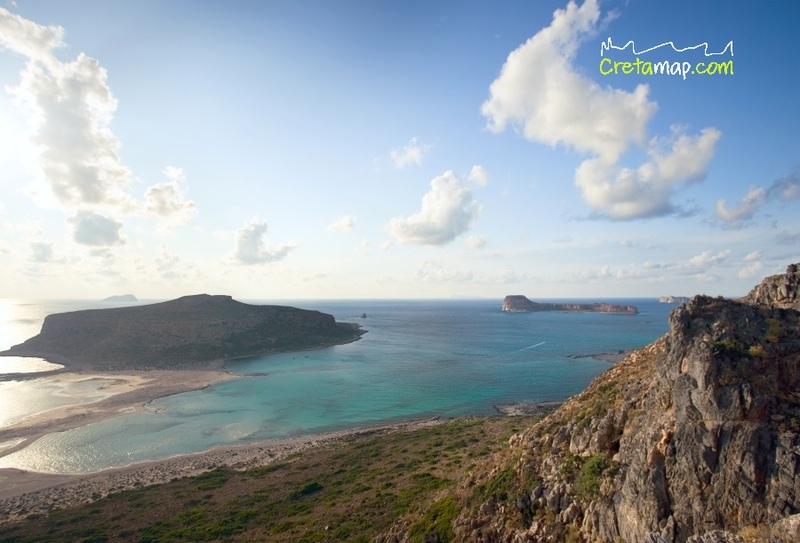 Due to its fascinating flora, Balos is a protected area under the Natura 2000 programme. It is also a shelter for the protected monk seal and the Caretta Caretta loggerhead turtle. As there is no natural shade it is essential to wear appropriate clothes and plenty of sunscreen to protect yourself from the hot summer sun of Crete. 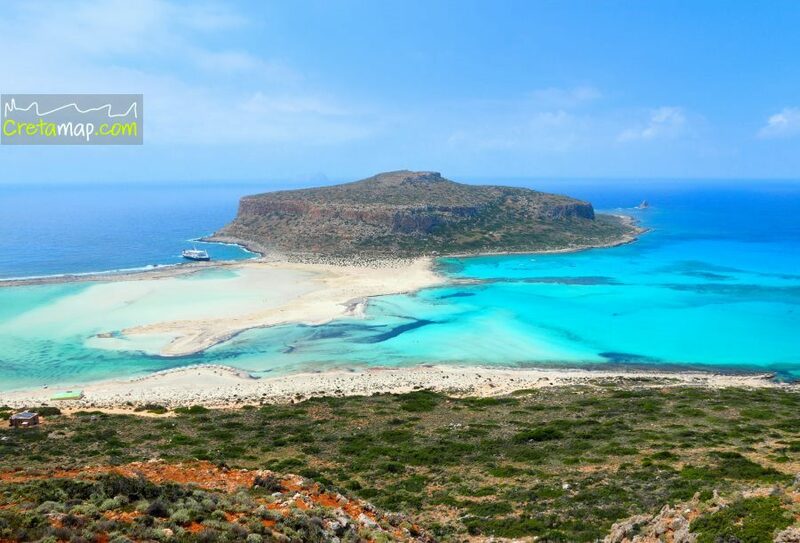 During July and August, Balos beach receives more than 1.000 visitors a day. Balos isn’t as easily accessible as most beaches in Crete. You can reach it by boat or by car and a short hike. There are daily boats leaving in the morning from the harbour of Kastelli, in Kissamos which are accessible by public bus from Chania. The boats leave from about 11 am and return at about 16:30 pm. The trip to Balos takes 1 hour. It stops at the Venetian fortress of Gramboussa for about 1.5 hours and then anchors to Balos beach for another 2 hours. Another way to reach Balos is by rented cars or motorbikes on a paved road which starts at the village of Kaliviani. If you start your journey early in the morning, you can get there before the boats arrive when the beach gets way too crowded. You will have to pay a reasonable fee to leave your car at the parking space. You will then follow the descending path which takes 20 – 40 minutes, depending on your pace. The walk is quite steep towards the end. It is definitely more hard to reach the beach on foot but you will be well rewarded by the spectacular view of Balos lagoon from above! The climbing when you return is much more difficult so it is advisable not to do it during midday or without enough water supply. For about 8 euro you could rent a donkey to go up the trail back to the car park. 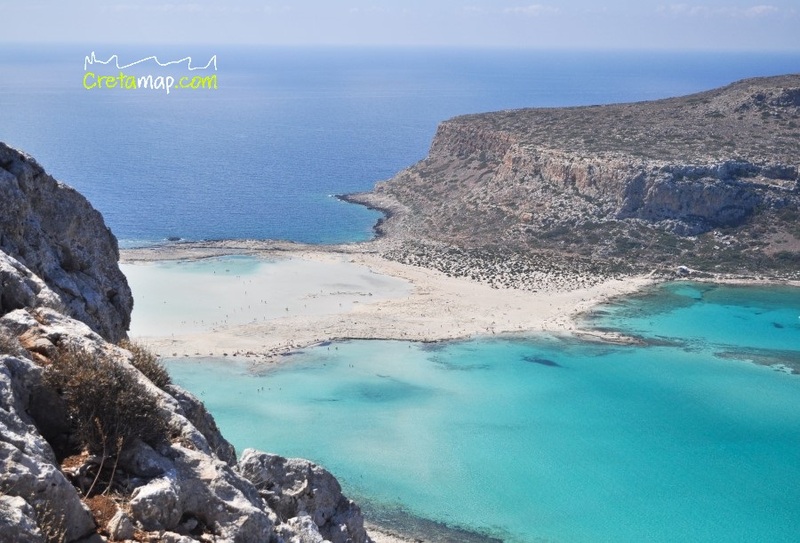 You could also reach Balos on foot from the village of Kaliviani, west of Kastelli. There is a bus arriving to Kaliviani from Kastelli and several buses to Kastelli from Chania. Should you choose this way, be prepared for approximately 3 hours walking from Kaliviani. Alternatively, you can get to Balos by public buses from Chania.